The crisp crunch of caramelized sugar. The pillowy texture within the ridged exterior. The aroma of fresh bread. That’s just a sampling of what the Liege waffle has to offer. The Liege is no ordinary waffle. It’s a Belgian variety that was created in the 1800s but is now gaining traction across America as a sweet, hand-held treat that makes for drool-worthy street food.Most purveyors and food trucks that offer this unique delicacy know to take advantage of the possibilities in terms of toppings. 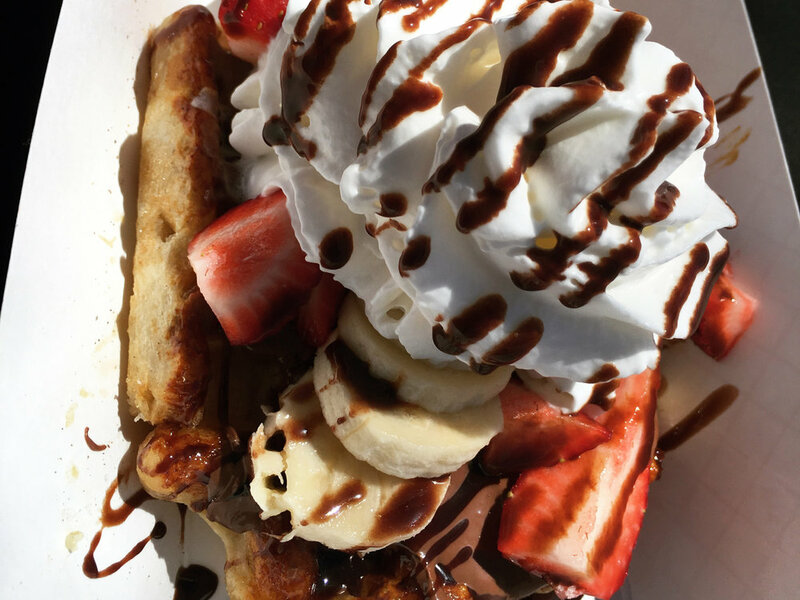 A fan favorite at The Waffle Lab in Fort Collins, CO is the European Waffle; it’s topped with Nutella, berries, bananas, and plenty of whipped cream. Aside from the sugar, these waffles are yeasted, unlike other batters. They have to rise overnight before they’re punched down to rise some more. This makes them more similar to a pastry and gives them their wonderful taste, smell, and texture.